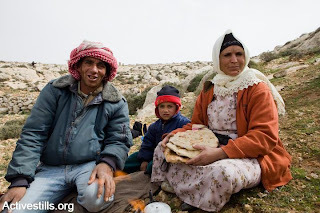 It is a known fact that the Israeli settlers of the West Bank live in relative abundance as compared to their Palestinian neighbours, nowhere, however, is this contrast starker than in the South Hebron Hills, considered to be the poorest region of the West Bank and home to several thousand farmers and shepherds. Documentation of their presence in the area dates back to the 1830s, but most likely they have been living in the area for centuries. The area is full of natural caves that have been used by the local population as shelter for both themselves and their flocks. In addition to the natural caves, people have also dug caves near wells and farmland, and set up other forms of settlements, including temporary (mostly tents), and permanent structures. The residents base their livelihoods mainly on farming and raising sheep and goats, as well as on the production of milk and cheese, with the majority of the produce being used for home consumption and the surplus being sold in the surrounding villages. Due to a lack of physical infrastructure, i.e. an absence of paved roads, the residents are obliged to travel by walking, on horses or donkeys, as well as by tractors and off-road vehicles. The villages are furthermore not linked to a power grid, to telephone lines or a running-water system. For other essential infrastructure, including education and health care, the residents rely on the services offered in the surrounding villages. View of Carmel settlement from Umm AlKheer. In the 1970s Israel declared some 30,000 dunums of land located in South Mount Hebron a closed military area and has been trying to expel close to a thousand residents since. In 1999 military forces confiscated personal belongings, sealed caves, destroyed wells and temporary structures and prohibited the residents' return. The civil administration of the army base the closing of the area on two primary justifications, the first one being that the area is needed for military training purposes, and the second one, that the communities are only living in the area on a seasonly basis and spend half of the year in the nearby villages, and therefore cannot be categorised as “residents”. After petitioning at the High Court of Justice against their expulsion, a temporary injunction was filed and the residents of the area were allowed to return until the court would reach a final decision in the matter. According to the Israeli human rights organisation B'Tselem, the hidden agenda behind the closure of the area consists in the intention to annex the area, which is closely located to the Green Line, to the Israeli state. In the same vein, at the beginning of the eighties, the first Israeli settlements, followed by a number of outposts, were established in the area. B'Tselem emphasises that a lot of the units and the infrastructure around it were and continue to be built without official governmental approval, yet receive direct financial support from the government ministries. With an increase in land appropriation for the expansion of those settlements, the relations between the local community on the one hand, and the settler community and state forces on the other, deteriorated more and more. The Palestinian residents of the area are increasingly subjected to abuse by the settlers and, as in the whole of the West Bank, the authorities standing by or protecting and defending the latter. The form of abuse varies and includes, intimidation, physical violence, as well as property damage, comprising also of the destruction of crops and theft of sheep and goats. 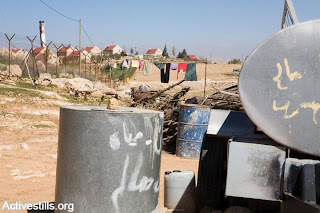 According to the residents, up until recent years, the South Mount Hebron communities' condition had been by and far ignored, including by Palestinian and international official bodies. Installing solar energy in the village of Susya. 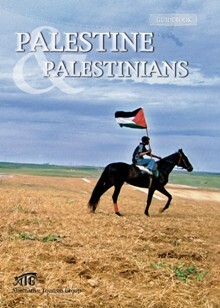 During the past decade however, activists started to regularly visit the region in order to support the residents in their struggle to remain on their land and also more organisations, including Palestinian, Israeli and international ones, started to provide the communities with different forms of assistance, ranging from legal to humanitarian aid. But also those efforts are frequently being thwarted by the Israeli authorities. 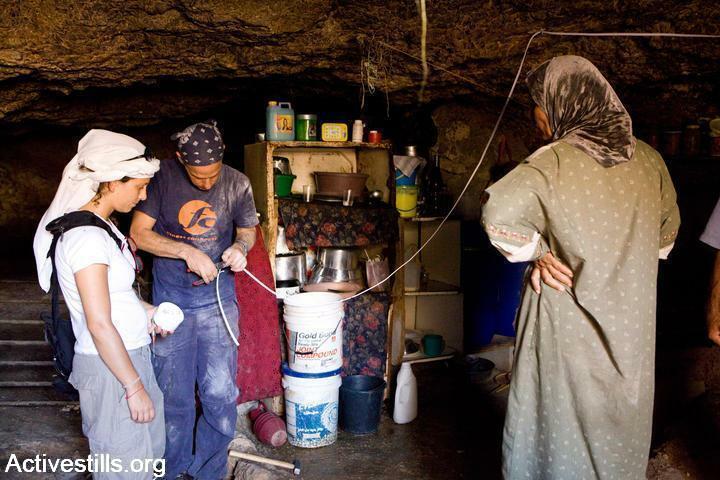 Most recently, the state threatened to demolish solar and wind power systems in six communities, that were built with the assistance of the Israeli initiative Comet-ME, and which constitute the only source of energy for about 500 people. 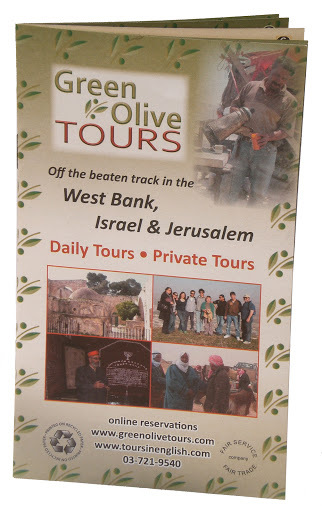 A visit to the communities of South Mount Hebron is also included in some of the tours organised by Green Olive Tours. Click here for further information.